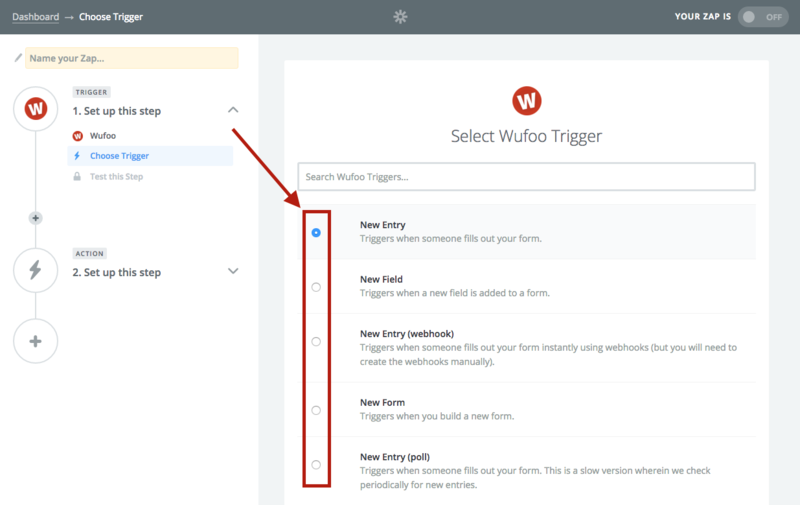 This article describes the general steps for setting up a SalesforceIQ integration with a third-party application in Zapier. 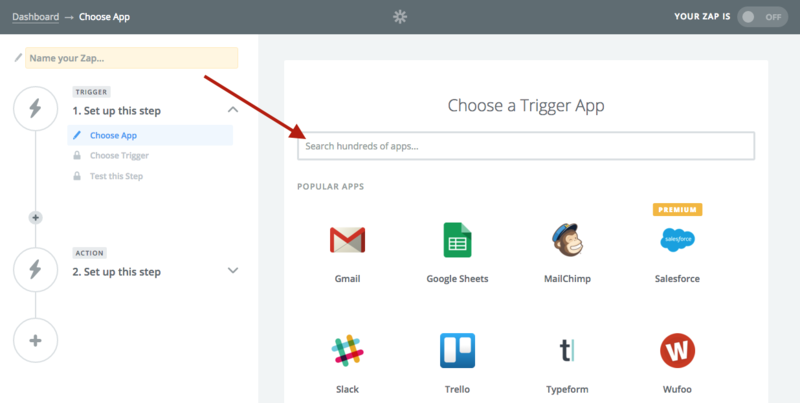 On the Zapier website, click Make a Zap or Make a New Zap. Search for the application you are integrating with SalesforceIQ. Select the action you want to take from your application. Connect your third-party application. This could be using usernames and passwords or API keys, depending on the application. For the action app, select SalesforceIQ. 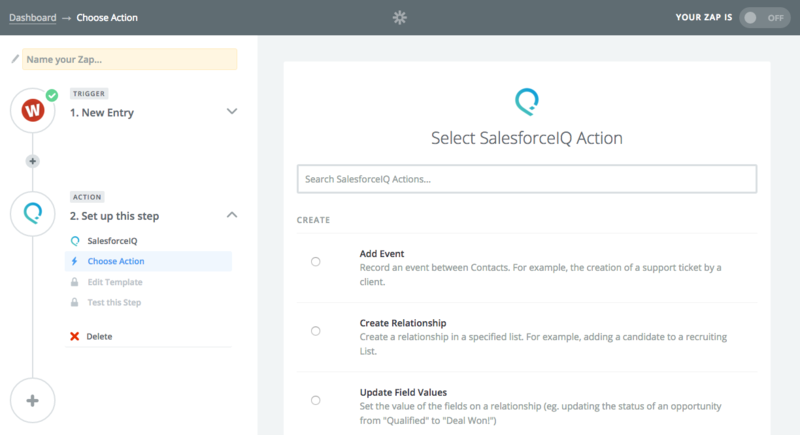 Determine what action you want to take in SalesforceIQ. Add Event—Record an event between Contacts, such as when a client creates a support ticket. Create Relationship—Create a List item in a specified List, such as adding a candidate to a recruiting List. Update Field Values—Set the values of a field for a List item, such as updating an opportunity's status from Qualified to Deal Won. This action works by searching Lists for the Contact tied to the email and then updating the corresponding List item. 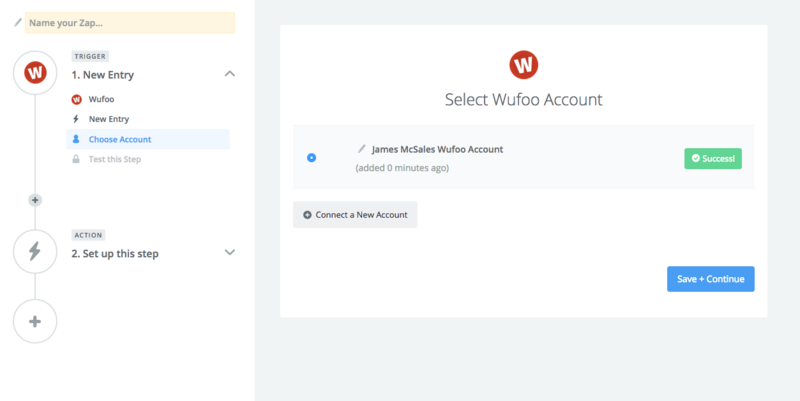 Connect your SalesforceIQ account using the API key and secret provided to you.